If there is one constant in this universe, it is that energy bills will continue to rise. With an incredible selection of weather and temperatures, Westmont IL residents are paying higher then average heating and cooling bills. Finding ways to decrease the amount you have to pay every year can be a big money saver. While some insulating options may be expensive for the benefit they provide, vinyl windows bring the newest technology at prices you can afford to your home. The result? 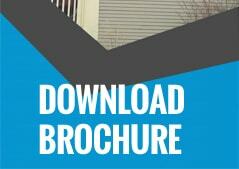 Better quality windows, better insulating windows, and lower energy bills. The success of vinyl windows comes down to their innovative design. Making use of a low E coated glass filled with argon, the vinyl window as an NFRC U-rated .27 or below, making it an excellent choice for household windows. With this high level of insulation, you will have reduced energy loss and as a result, less expensive energy bills. Vinyl windows also provide superior noise reduction, improving the quality of life inside your home. Maintenance free, vinyl windows make termites a non issue, do not experience condensation, have an easy tilt-in cleaning, include child resistant safety locks, and are fully recyclable. 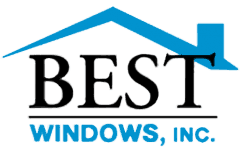 Serving the greater Westmont IL community, Best Windows Inc. has worked to create a reputation for superior business. Along with four consecutive years of winning the Angies Super Service Award, we have also been recognized by the Kensington High Performance Window Dealer of the Month. We stand above the completion by providing these services to each and every client, superior customer service, fastest delivery, the best warranty, the best products, and of course, quality service. We provide a hassle free environment where you can make decisions regarding your windows without fear of being pushed into something before you are ready. Best Windows Inc. is about providing a meaningful service first, and making sure you leave fully satisfied with the work we do. If you are interested in learning more or would like to schedule our services, please do not hesitate to give us a call at (708) 204-2446 or fill out a form on our website where we will be able to get back to you via e-mail. We will be more then happy to answer any questions you may have regarding what we can do for you. Visit Best Windows for more information about vinyl window replacement Westmont IL.